TK16 Master Kendama is a good Kendama for beginners. The TK16 Master weighs about 145g, which makes it one of the heaviest Kendamas. The TK16 Master comes in 3 painted colors: red, blue, black and natural wood grain with no finish. TK16 Master kendama is the only Kendama made out of Japan sealed by the Japan Kendama Association. The JKA seal color is green. 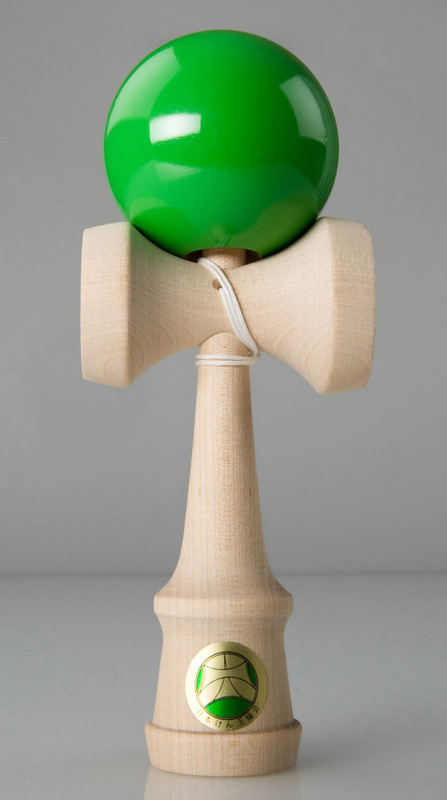 TK16 Master kendama is made of birch wood and its country of origin is China. This Kendama comes in a plastic bag with an extra string. A few months ago, Mirek told me he would have a new kind of kendama he wanted me to try out. When I saw it was a TK-16 I thought, “Eh? Nothing new about that.” Or is there?